How do we keep track of the fast changing world of medicine when every single day there are advancements in techniques, technology & consumer expectations? How do we educate ourselves? How do we guide patients into taking the right decisions? How do we separate the facts from the marketing hype? How de we reach out to others and learn from their experience so that we do not repeat their mistakes and benefit from their experience? How do we secure our position in the highly competitive world? One answer for ALL these and many other similar queries is Continuing Medical Education. At CMHF – Hundreds of articles telling you how doctors across the world are practicing; latest happenings from across the world, latest trends, guidelines, do’s and dont’s, opinion polls, quizzes etc. 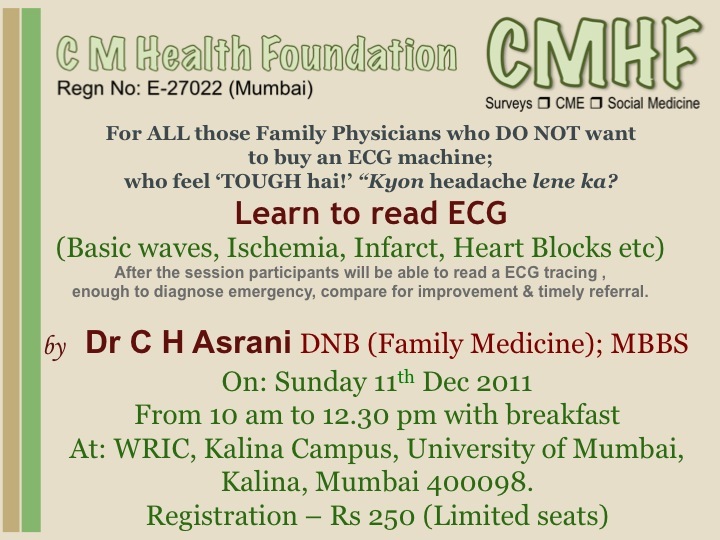 In addition, CMHF will also hold regular workshops and CME sessions. 4-day intensive workshop in managing HIV-AIDS. 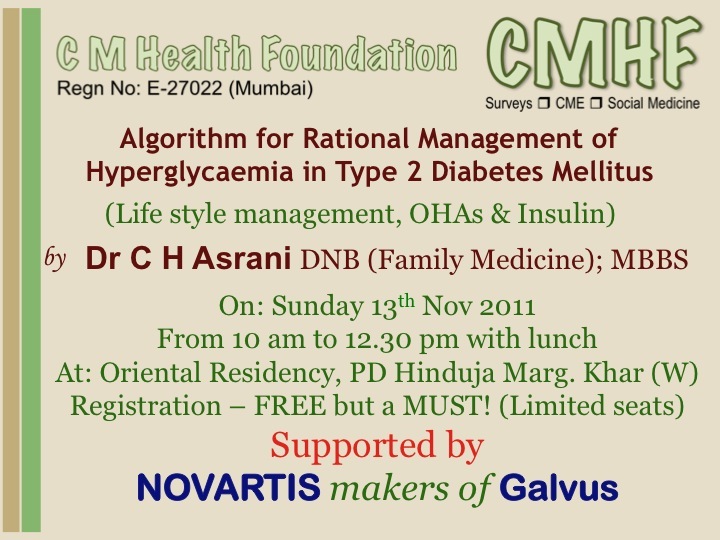 click for details (pdf), print this form and send it to us to attend this workshop. pl reg me for JULY prgm. Will revert as soon as we have affiliation. Hi it was the cme i liked to attend even though it was a sunday. All speaker were well experienced, yet eager to share their knowlede with others. Thank you v.much.Seminar was a wonderful experiance,v.v.informative.